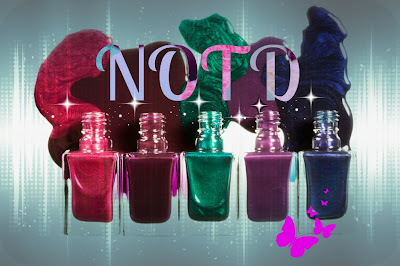 NOTD: Enchanted "Water For Unicorns"
Another Enchanted -aren't i lucky! I have to say a massive huge thank you and complete enormous hugs to Louise who got me this one and when it arrived yesterday, of course i had to try it!! Do Enchanteds even need some kind of write up to introduce them? This one was released on the last restock a few weeks back. Congrats if you managed to snaffle one, and isn't it a beautiful colour! It says its a blue holo polish, but compared to some of the other Holos Enchanted or otherwise, its not very strong. 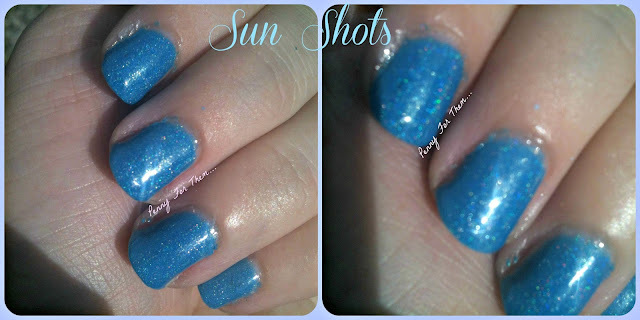 Only reveals itself when the sun catches it, otherwise it looks like a very pretty blue with a bit of a shimmer to it. 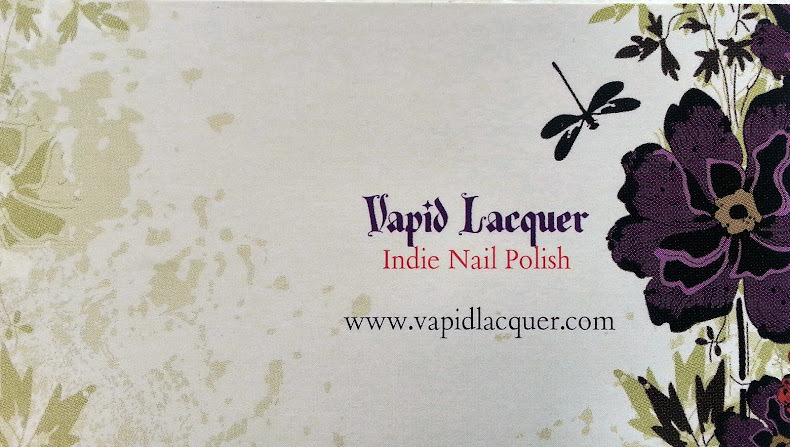 I found the best way to add the polish to your nails was to withdraw the brush from the bottle and dab it a couple of times against the neck of the bottle. Thus leaves a good coating on the brush but not so much that its threatening to drip! The consistency is quite thin so it's important to make sure there's no excess or you'll end up with too much polish on the nail. The polish went on well and, as per instructions on the Enchanted box, I left approximately 3 minutes between each coat which gave it enough time to be touch dry and ready for the next coat. So here, base coat used was Nails Inc Hyde park, 3 coats of the polish and 2 coats of Nails Inc Kensington Caviar Gel Effect Topcoat. Even before i put the topcoat on you can see the gloss on the last picture. In the sun, the holo peeks out, but very shyly, again, its mostly glitter that pops out. This also has the Gel Topcoat on, which i think makes the whole polish have a great glossy finish. I tried to get a couple of shots close up, and it took a while but these were the best of a bad bunch! The one on the left shows it in the sunlight and the picture on the right shows the close up indoors. Its strange but the indoor shot shows alot more glitter (albeit, almost dormant) than the one with the sun shining on it. But yes, the sun shot shows the glitter shining well, but you can see how much potential glitter should be showing in the indoor shot. I wonder where they're all hiding! 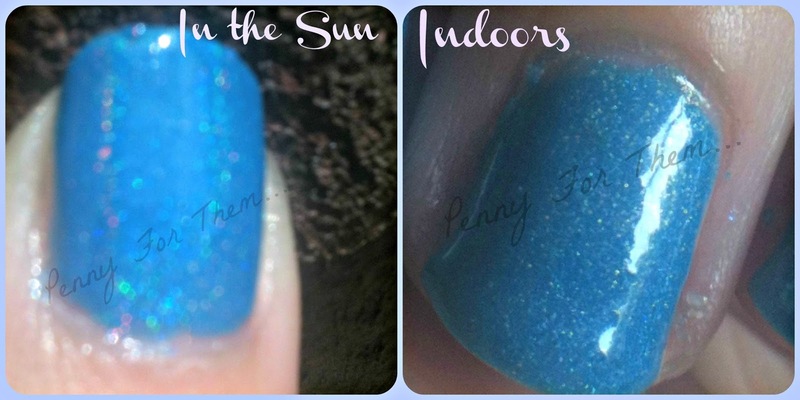 Its a gorgeous blue, and although it doesn't have the same pizazz as Enchanted's "Kind of A Big Deal", or "Dijinn in a Castle", or some of the months polish, but its still very pretty and completely staying in my (ever growing!) collection!